our elements of harmony for a rp in the fourams. 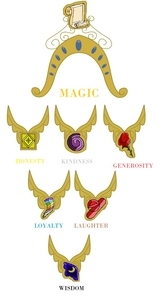 its our elements of harmony for our discord battle in mlp fim rp!!! によって rawrmonster. Wallpaper and background images in the マイリトルポニー〜トモダチは魔法〜 club tagged: my little pony friendship is magic.